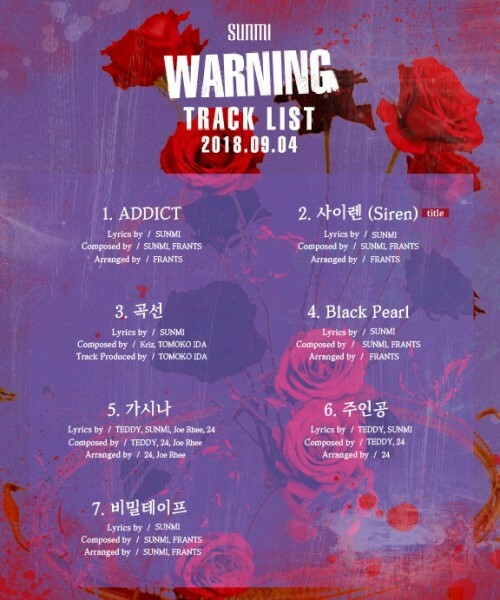 Singer Sunmi has unveiled the track list and credit teaser for her upcoming album "Warning" ahead of her comeback. On August 26, Sunmi dropped a 'credit teaser' for "Warning" through MakeUs Entertainment's official SNS channel. 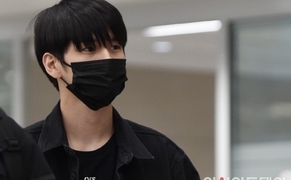 The teaser reveals the seven tracks of the album in order, including title track "Siren". Sunmi wrote the lyrics and co-composed "Siren", and she also participated in all of the other tracks in the album. Meanwhile, Sunmi will release "Warning" on September 4 at 6 p.m. and hold her first premium showcase at 8 p.m. on the same day.